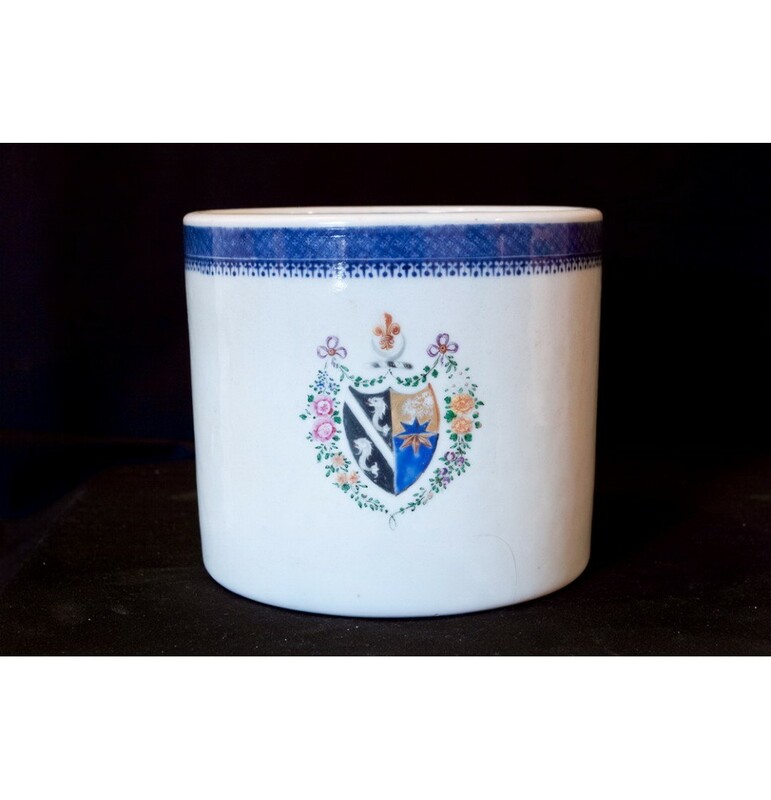 Chinese export armorial porcelain cache pot. 18th century, circa 1745. Listed in David Howard’s Sanctuary Book of Armorial Porcelain.